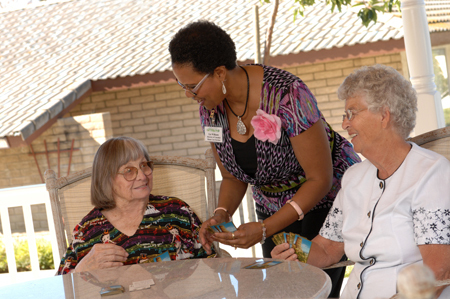 Inland Christian Home is a non-profit multi-level senior living community. Inland was founded by a number of local churches and began providing services in 1978. The mission of the community is a reflection of the founder’s heritage of faith and values; to provide quality, affordable, individualized care to seniors in a Christian environment. The community’s non-profit status promotes this mission, as there are no owners who profit from its operations and all revenues are reinvested into the operations of the facility. The operations are governed by a volunteer Board of Directors. Inland Christian Home provides many different levels of care. These levels of care include Independent Living, Assisted Living, Memory Care, Adult Day Care, Skilled Nursing, and Custodial Home Care. Our philosophy is to allow residents choice in how they receive care and to encourage our residents to live as independently and at the lowest level of care possible. We want Inland to be their “Home”, where all are treated as individuals and are given choices in the way they live. Our “aging in place concept” promotes these ideals. The availability of different levels of care and services, on the same grounds, offer some very unique advantages. Residents can continue to reside at the community even as their abilities change, have the comfort that their needs will be met, and continue to be close to their spouses, friends, and family. 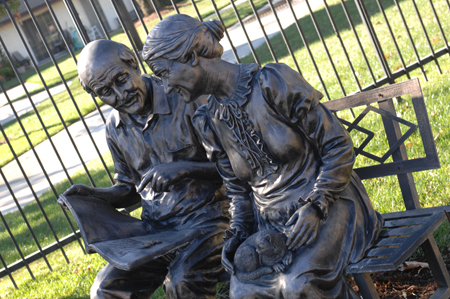 Inland Christian Home is licensed as a Continuing Care Retirement Community (CCRC) by the Department of Social Services. A CCRC must follow specific standards set by the DSS, providing our residents additional assurance that they are living in a well-managed community. To view our CCRC Annual Report, click on the link below.